Hampden offers custom fabricated sliding gates, which can be built to seamlessly match your new, or existing security fencing solution. We can also offer complementary gate automation and access control systems to help you better manage the access of vehicles and pedestrians in and out of your property. Talk to us today about your custom sliding gate requirements and we'll find you the perfect match for your property. 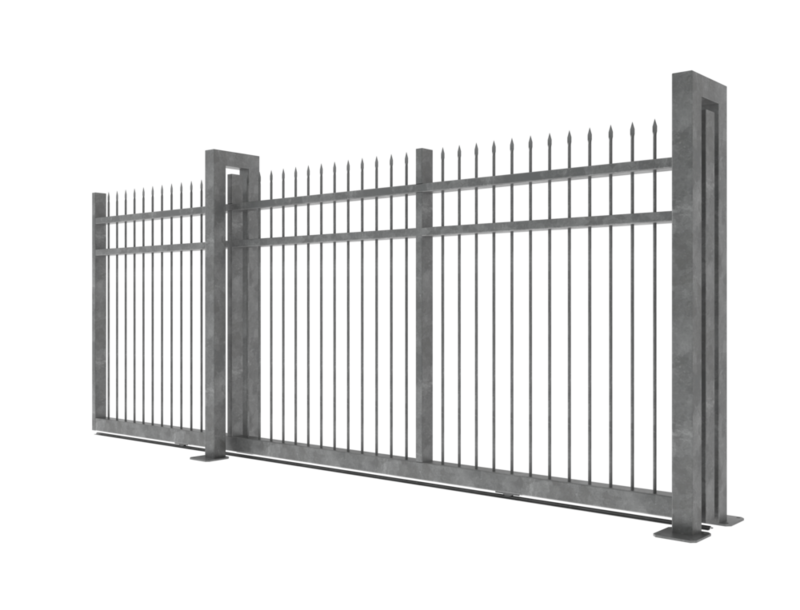 Is a Sliding Gate Right for Your Property? Sliding gates require a specific concrete foundation across the driveway and the same effective opening distance along the fence line. Both sliding and cantilever gates negate the swing arc (lateral space) of swing gates providing a larger area to utilise. Sliding gates also offer higher levels of security than swing gate solutions which makes them a better option for at-risk properties. Hampden sliding gates are available in a wide range of materials and finishes to suit any property, and both manual or automated options are available. Hampden can automate your gate and add an access control solution to restrict access to unauthorised visitors or intruders. All gate automation solutions and access control systems are specific to the needs of your property and will be matched to the nature of your gate and usage. Because no two sites are the same, all Hampden gate solutions are custom-fabricated to suit each customers’ specific needs. Whether its a entrance vehicle access gate, or a simple pedestrian gate, Hampden can provide a range of options with varying degrees of automation or enhanced security features. Our experienced fabrication team has custom-made thousands of gates over the past 48 years, and the only real limit to what they can achieve is your imagination. Our gates can be fabricated to match your existing fence styles and we can arrange for a stylish finish to create a lasting first impression for visitors to your site.